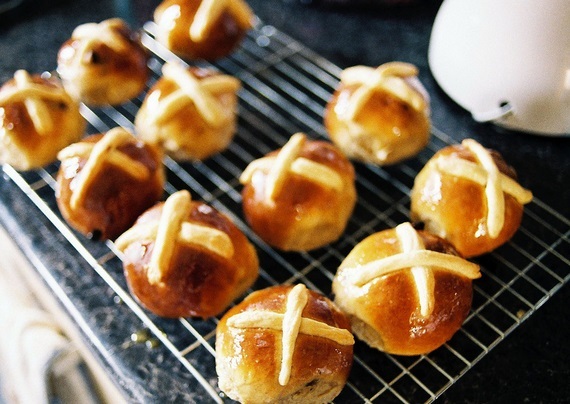 Smog, chocolate Easter bunnies and listening to everyone’s broken Lent vows – April feels like a bit of a lethargic preamble to the exciting festivities in May and beyond, don’t you think? This month’s round-up is slightly shorter than usual, but I expect that May’s post will be a bonanza of food festivals, beer tastings and various summertime frolics – we all know that Bristol comes into its own during the summer months, and hopefully this will be the best year yet for the city to showcase its first rate food and drink scene. We’ve already been named as Foodie Heaven by the Guardian, and the Best Place to Live in the UK by The Sunday Times, so onwards and upwards! 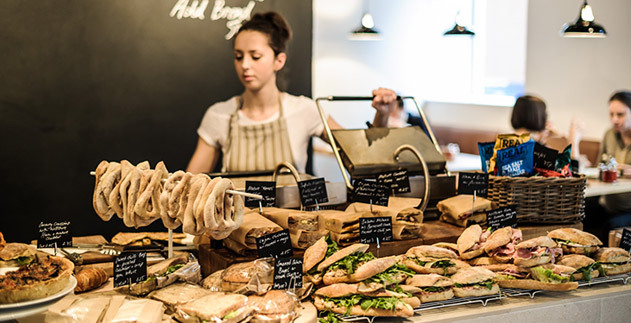 The biggest news in the past week has been the announcement of the finalists for the Bristol Good Food Awards – a chance to honour some of the city’s best restaurants, bars, delis, bakeries, chefs and sole traders. It’s an impressive list and a good chance to remind yourself of just what a diverse eating scene we have – I’ve already added a few more to my list of places to try! This weekend sees the return of the popular Chocolate Festival to Brunel’s Old Station – there will be plenty of workshops, talks, samples and stalls from national artisan chocolatiers. Tickets are £5 and the event runs on both Saturday and Sunday. 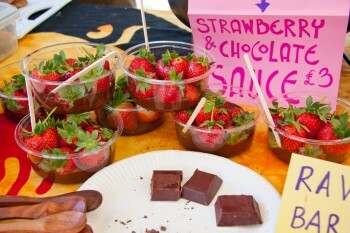 You can also get your chocolate fix at the chocolate themed night market at The Island in the city centre tomorrow – in addition to stalls, workshops and street food, there will also be cocktails and a DJ! Just when you thought you couldn’t cram another bar into the area, Friday 11th sees the opening of The Bootlegger on Cheltenham Rd – this place will be a cocktail bar & kitchen and looks like it will bring an extra bit of vintage glamour to this eclectic patch of road between Stokes Croft and Gloucester Road. If you’re in the mood for something a bit more adventurous, the same weekend sees the latest event from the Food Theatre Company – a chance to experience a 3 course meal, surrounded by artworks and a live performance. The event runs on 11th, 12th and 13th April and tickets are £40. Fine gourmet also meets its brewing soulmate with the Wild Beer at Bishopston Supper Club on 12th April – the six courses have been carefully created and matched with different Wild Beers, so this is a great chance to not only munch lovely food in a friendly setting, but also try some quality beer too! Tickets are £40 and can be purchased from Grape and Grind on Gloucester Road. Hamilton House also hosts its own pop up dining event on 12th April – sample a six course tasting menu for £35. Bath residents and daytrippers need not feel short-changed, as Raisin Wines are putting on a cheese and wine event on Friday 18th, or maybe pop along to Independent Spirit on Friday 11th for their Japanese Whiskey tasting? As well as celebrating the first anniversary of the Barley Mow’s refurbishment next week (pop in to try some beers created by the team and vote for the best brewer!) the pub will also be hosting another brewery tap takeover on 17th April – this time it’s the turn of Magic Rock Brewing, who will be on hand to talk through their creations and give you a few tasters. Small Bar are getting in on the takeover action themselves – on 24th April they’re welcoming Redchurch and Harbour Brewing Co. as part of their new monthly Sunday Service. There will be keg and cask comparisons, talks from the brewers and food on offer too – tickets are £30 from the bar. 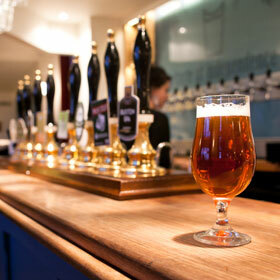 If you want to spend your Easter weekend in the company of even more tasty beer along with live music and food, then head along to the 4 day beer festival at the Volunteer Tavern by Cabot Circus – it’s free entry and there’s also a discount for CAMRA members. There is also an ale festival on around the corner on Old Market, with the Stag and Hounds putting on their annual Stagfest – 3 days of real ale and rock across the Easter Weekend. More beer festival funtimes, and this time it’s in Horfield – the Inn on the Green are running their Beer & Cider Festival from 30th April-2nd May, tickets are £5 per session. 23rd-25th May – Vegfest Bristol, featuring Boney M playing live! Enjoy your Easters, and if you have any other tips for places to eat, drink or visit, let me know! Woooop!! This all sounds so exciting!!!! 🙂 yay for Bristol! !